A firefighter among those battling a central California wildfire died Wednesday and another was hurt when the water truck they were in overturned on a highway miles from the fire lines. 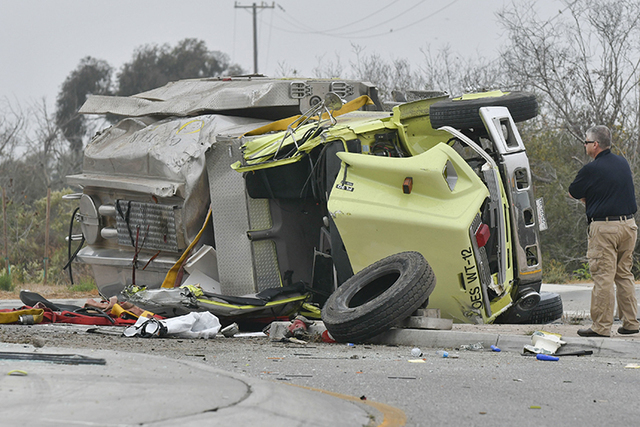 LOS ANGELES — A firefighter among those battling a central California wildfire died Wednesday and another was hurt when the water truck they were in overturned on a highway miles from the fire lines. 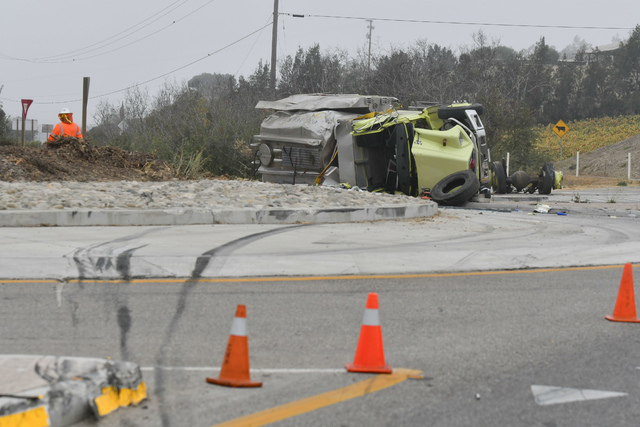 The truck crashed just before dawn at a roundabout on Highway 246 about two miles outside the city of Lompoc, Ventura County Fire Department spokesman Steve Swindle said. Ventura County firefighter Ryan Osler was killed, and Adam Price was injured. There were no other occupants in the truck. Osler married Yniguez’s daughter, Jennifer, after they graduated from high school in Santa Clarita. He kept a memorial to his father at his home. It included his father’s helmet, shoulder patches and a photo of him when he rescued a baby. Firefighters focused Wednesday on the blaze’s southeast boundary. Voluntary evacuation orders were in place for about 400 residents of the San Miguelito Canyon area. 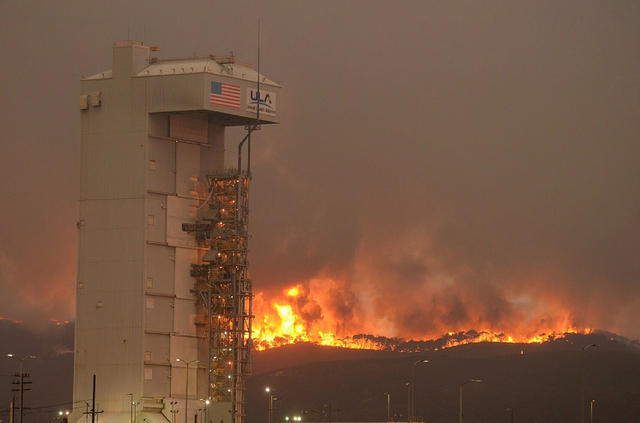 Officials said the fire did not pose an immediate threat to the base’s launch complex that fires satellites into space. Its cause was under investigation.